Hey Everybody! Christmas is the time of year to enjoy & share with family & friends. Some people will spend this time alone & isolated too! This is a safe place where people can post and say hello, chat or send wishes to others and have a 'Virtual Christmas/New Years'! I also like the Aussie Christmas song about the Ute and being Bute, but have forgotten what that song was called. Does anyone have any favourite Christmas songs? Oh yer, the Dutch are already preparing for Christmas. Their Santa Claus has made his way from Spain to Holland and will be delivery gifts on December the 6th. Anyone for an early Christmas? You will need to leave hay and carrots in your clogs though for the horses! dear Paul, as usual a great post to kick off with, and the song by Band Aid is truly a moving and sensational song, sung by all the top artists for a good cause. Thank you Paul for starting this thread. Due to the recent excess of rain, Xmas bushes are flowering already all over this part of the outback. This year, the bush has already put out its decorations. This morning the first Xmas Beetle flew into my face, something those bugs are good at...why hasn't Mother Nature equipped those things with a decent GPS, I don't know. Anyway... reminders that this time of year is fast approaching are all over the place (I thought we only did that a couple of weeks ago but there we are again !). I will be spending it on my own too but being on your own doesn't have to mean being alone. Party invitations have been sent...Looking forward to seeing you around. Dear Star, you reminded me of a classic Australian Christmas movie called, "Bushfire Moon", also known as, "Miracle Down Under" in other parts of the world. It starred Bud Tingwell and was a truly beautiful story about Christmas in the Australian outback. A story that lends itself tk the real heart of Christmas. Has anyone else seen it? It is worth chasing up, think I might go see if I can find a copy. Starwolf said "I will be spending it on my own too but being on your own doesn't have to mean being alone"
I think a tiny Christmas tree (12" tall) will be fine this year. One year my sister asked her son to go out and get her a live Christmas tree. He came back with one so big they had to push and shove it through the door. Thankfully they have high ceilings! One year my niece was helping me decorate our Christmas tree. She hooked the tinsel into the tree then ran round and around turning the bottom part of the tree into a cacoon. After Christmas I almost had to cut the tinsel off, it was wrapped around that tight. Ha. Ha. Last Christmas Day I helped serve meals to those who had no where else to go for Christmas. It was a delicious meal, beautifully decorated tables, laughter and chatter. There was also a small gift for everyone. It was wonderful. For the virtual Christmas party, I will help decorate the tables. Does anyone have traditional colours they use at Christmas? To find some Christmas joy and beauty, have a look at European Christmas Decorations on the internet. I am sure there are many different nationalities that have interesting and beautiful Christmas decorations and traditions. I've certainly seen some of America's Christmas decorations in movies! Some of the houses look so spectacular! In Russia, Father Christmas is dressed in blue and has a younger female helper. Does anyone have special food they enjoy at Christmas? Is it fine for me to join in on this thread. As my family has been split up one thing or another. I have always had a pavlova. My mother taught me how every one always came back for more. For those who are in Adelaide in December, make a trip to Lobethal to see some of the best holiday lightshows in Oz. Hey Kanga, always a treat to have you around. You have been on here for months! I live with my dog (small horse) and like some people here may be flying solo. 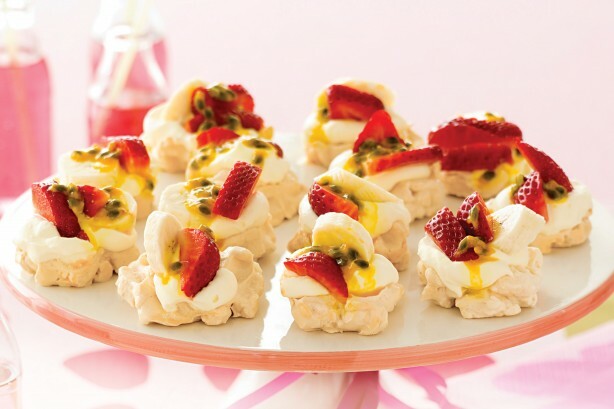 Your mums pavlova sounds gorgeous :-) Thankyou for being here Kanga :-) What are you doing for Christmas? My family will not be with me at Xmas this year. Gonna be the first Xmas without my parents. I am also working on Xmas till 2.30pm. At least I get a free meal with the other staff. My housemates think they will be here for Xmas so at least I have them. As for new years I don't have plans so far. I am lucky to not be working the NYE or NYD so I may go to watch the fireworks if I can find a good spot. Every year...since I have lived here in OZ, I have an "Orphans Christmas" - Being a Chef, I love to cook...and being here in OZ, with no family...except the dog, at that time of year I also get that...many others are alone as well! This will be my last year in BrizVegas...so its gonna be a special one...I have organised with a few other organisations that work with people that are experiencing homelessness, and we are going to do something really awesome this year...a big celebration. But we also get that Christmas is just one day, so part of this is to also bring more awareness for the organisations in Brisbane that help to feed the homeless, as well...every other day of the year! Im already looking forward to it, and have the menu all sorted!. Everyone is welcome, and I know that we cant post links but if youre in Briz, look out for a very special orphans Christmas...extra hands and helpers are always welcome. Hey blond thanks for the welcome back. As my Physical health went south for a bit. No computer or internet, the little kanga's being farmed out. My family is all over the shop. I am feeling relay left out except for here in the sanctuary. I am safe here amongst good friends. Looking forward to santa this year. KB, you have been missed ! Great to have you back on board. Even better to know you'll be joining us for end of year celebrations. Mr Esse...what a terrific thing to do ! I hope you will be joined by other kind souls. I'll be doing the rounds in a dog shelter. Filling in allows dedicated staff to have a well deserved break and spend time with their families... and the dogs don't need to stay locked up and alone for longer hours than usual. Wi-fi will keep me connected to the human world and BB. Being able to be simultaneously in different places has always been a dream of mine...so it will be a Xmas present to myself. Thank you StarWolf - Yes, the sleigh bells will be ringing for our Orphans Chrissy this year. You are such a dear and kind soul to volunteer, so that others can be with their family and friends. MuchLove to you and all the furbabies! Pavlovas are delicious! I am wondering if your Mum made a soft pavlova or a hard, crispy one? Or maybe here was a bit of both. My Mum always made a crispy pavlova where as my Mother in law makes a very soft one. They are so different! Mum always made one for Christmas as well with juicy fresh strawberries from the garden and dribbles with passionfruit! I have been to the Lobethal lights heaps of times! They certainly are very pretty! I enjoy driving around seeing the Christmas lights and decorations at Christmas. Used to have friends in a retirement place, a lot of the oldies went to town decorating their homes! It is excellent to have so much interaction on this thread. No doubt there will be a lot more over he coming weeks. I'd just like to let you all know, the Festive Season Struggles thread is available to those who would like extra care, support, understanding and acknowledgement about negative stuff relating to Christmas and New Years. You will be supported on either thread. If you really need to vent, the Festive Season Struggles is the place to do that! Thanks Chris, now I'm drooling like a Mastiff all over the keypad ! They do look so delicious! Last year in a magazine I saw chocolate pavlovas for Christmas! SS, you are a legend my friend, tipping my hat to you. Kanga's pav is a legend too - yummy! When my Mum was still around, our Christmas table would always have a few random older people with no families. I loved her big heart. When well I always invite my friends with no families too. I am pleased to be part of this thread and looking forward to taking some time out on xmas day to celebrate with you all. And, right back at ya sweetheart!